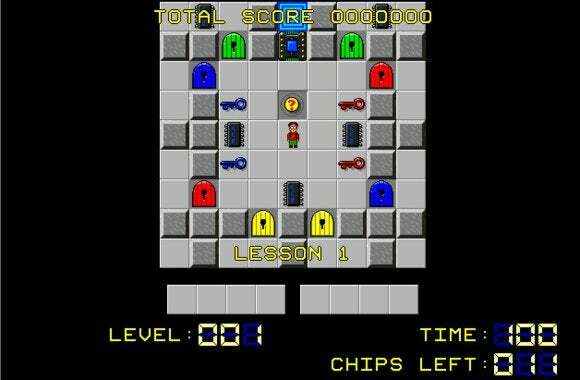 If you owned a PC in the nineties, chances are at some point you played the excellent puzzler Chip's Challenge—the heartwarming tale of a guy who, for some reason, risks it all to collect ROM chips in a world plagued by locked doors. Chip's Challenge was part of the Microsoft Entertainment Pack, a series that also included standout time-wasters like Minesweeper and FreeCell. Seriously, if it were possible for me to have failed grade school I probably would have, thanks to the exorbitant amount of time we spent playing Chip's Challenge in class instead of paying attention. And today creator Chuck Sommerville and Co. announced that Chip's Challenge and its never-released sequel Chip's Challenge 2 are coming to Steam on May 28—a full twenty-five years after the game was originally released. 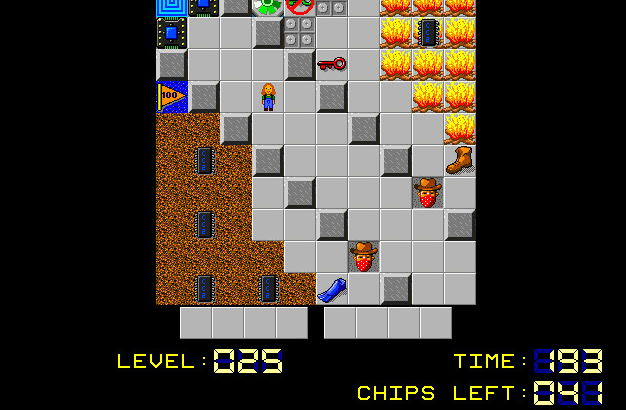 A sample level from the never-before-released Chip's Challenge 2. Yeah, it basically looks like "More Chip's Challenge." The original game's been inaccessible (well, “inaccessible”) for years thanks to an ongoing legal battle that's (presumably) been resolved. That's also the reason we've never seen Chip's Challenge 2, which was apparently designed right after Chip's Challenge and then never released. “I generally thought the only way Chip’s Challenge 2 was ever going to see the light of day was by having my wife leak it on the internet on my death,” says Sommerville in the same release. Instead, it's coming to Steam. What a glorious age we live in. Store pages are up for both. According to this press release, the original Chip's Challenge will sell for $2, the sequel for $5, a level editor for $3, or you can buy all three bundled together for $5 (which seems like the obvious choice).